A brotherhood like no other. 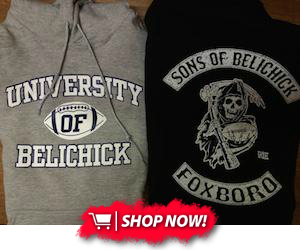 That is what New England Patriots’ defensive ends Rob Ninkovich and Chris Long have. They’re the locker buddies, jokesters and self-proclaimed “old dudes” of the team that you can’t predict. One minute they’re answering interview questions seriously and the next they’re busting each other’s chops. They’re even said to be planning a vacation together along with their wives this summer. Social media is the root cause of this comedic duo’s bond. Both players have common interests and similarities that helped formed their strong bond. Nink is 32 years old and Long is 31, and both are married with young children. Ninkovich has a two-year-old named Olivia, and Long’s son, Waylon, will turn one in March. All joking aside, this duo put together very productive and almost similar numbers this season. Ninkovich totaled 32 tackles, four sacks and one forced fumble in 23 games. Long tallied 35 tackles, four sacks and three passes defended in 16 games. 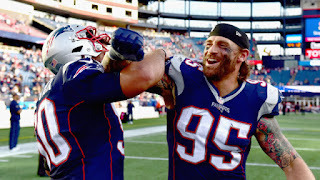 This is Long’s first shot at playing into the postseason, as he spent his first eight seasons in the league with the St. Louis Rams, and he is appreciative to have Ninkovich here to help him. Some say “football is family,” and when you’ve got togetherness and a brotherhood like Rob Ninkovich and Chris Long, it’s sure to take you a long way.